Applications: Paint/rust removal, removal of slag. 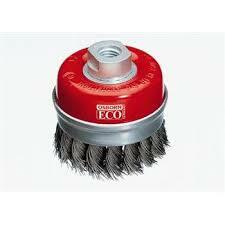 This Knotted cup brush, craftsman quality, for use on angle grinders. Advantages: good cleaning performance; best price/performance ratio; easy cleaning of larger areas.